The Revolutionary Personal Cooling. This version comes with a detachable 2 Liter Bladder, which can be frozen with 85% water full. 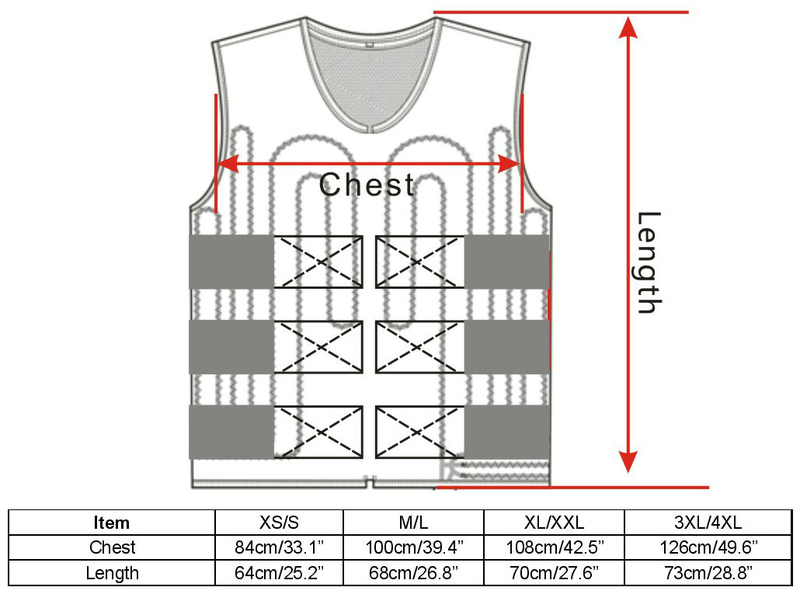 The Circulating Cold Water Cooling Vest was first built for the military. The products use a combination of ice water and pumps to push cold water through special tubes sewed into vests. This allows for a continuous flow of cool water around the body core, keeping the user cool and comfortable in any condition. The backpack that holds the ice/water bladder can be easily replaced for continuous cooling over extended periods. This is NO Evaporative, Phase Change or Air-Cooled Vest! This is the best, most Affordable Circulating Water-Cooled Personal Cooling Vest. Commonly used by people with Multiple Sclerosis and other medical conditions, and for hazardous material suits, military combat gear, mascot costumes and outside workers. Click here for the user manual. Click here to see how does it work. Completely self-contained system with unlimited mobility. Built-in Ice Water Circulating System, delivers the right temperature to your body core. Note: this is a cooling STORAGE unit, you only get what 2 liter ice/water gives you. Click here for the unit with active chiller. Soft Mesh Liner. Water resistant breathable fabric. Weight w/o Water: 1KG / 2.2 lb. Some reviews say the Bladders leak, why? Most bladder damages are caused by the zip. Do not let the edge of the water bladder get in the zip and force through. The detachable Bladder! The whole bladder can be frozen. The cooling time will be 50% - 100% more than the 2017 version. The high quality fittings will cost $20.00 more. What's the Different between this vest and another backpack? The actual duration depends on a) how much "cold" you start with; b) how rapidly heat is absorbed. *Tips: add alcohol to water, lay flat in freezer, move the air bubble to the connectors, freeze the bladder overnight. Buy a few more bladders. 6-8 hours per charge. Click here to buy additional batteries. How to tell if the water is circulating? There are an inlet and an outlet on the back of the Bladder. The higher one is the water inlet; and the lower one is the water outlet. Fill water to the minimum water level. Turn the pump on. If you see the water is coming back from the inlet, that means the water is circulating through the vest.